Acclaimed filmmaker Ridley Scott has teamed up with Turkish Airlines to direct a cinematic short film set in Istanbul, where East and West meet. 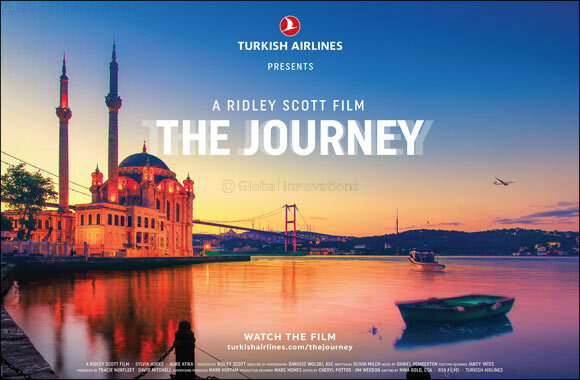 “THE JOURNEY”, the story of a chase across the city’s iconic landmarks was shown at Super Bowl LIII on February 3, paying homage to the ancient city of Istanbul, the airline’s hub for 85 years, spanning the continents of Europe and Asia. The 30-second commercial was featured in the first quarter of the most watched sporting event on the global calendar amongst a line up of some of the world’s most recognisable brands, while the six minute cinematic short film version launched simultaneously via Turkish Airlines’ YouTube channel. Four promotional versions and a six-minute cinematic short film were created as well as a behind-the-scenes special that details the entire experience including interviews with the director and cast. Previous high profile Turkish Airlines collaborations include sports stars Lionel Messi and Kobe Bryant, actor Morgan Freeman and Kevin Costner, and “THE JOURNEY” stars actresses Sylvia Hoeks and Aure Atika.